Hey everyone! Back with my 3rd post of the day, but that is only because Betty posted a contest on the SImply B Stamps Fan Group to show a picture of your desk and make a project and finish it for noon tomorrow. Well I am done early WOOT! 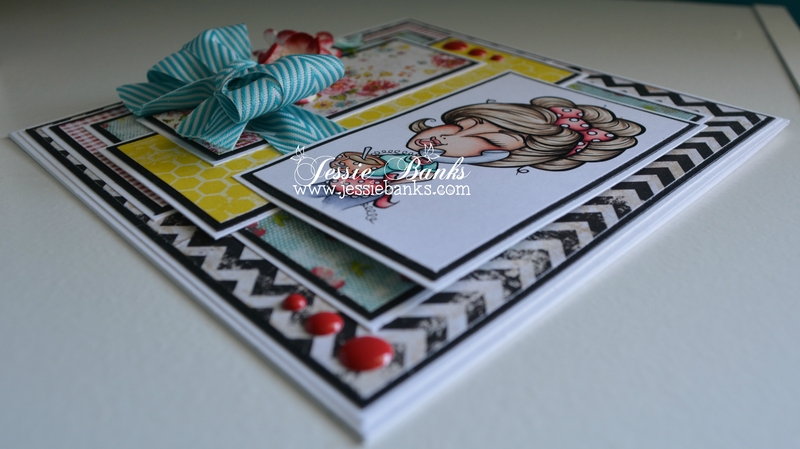 I used one of Betty’s Fundraising Digi’s for this card. 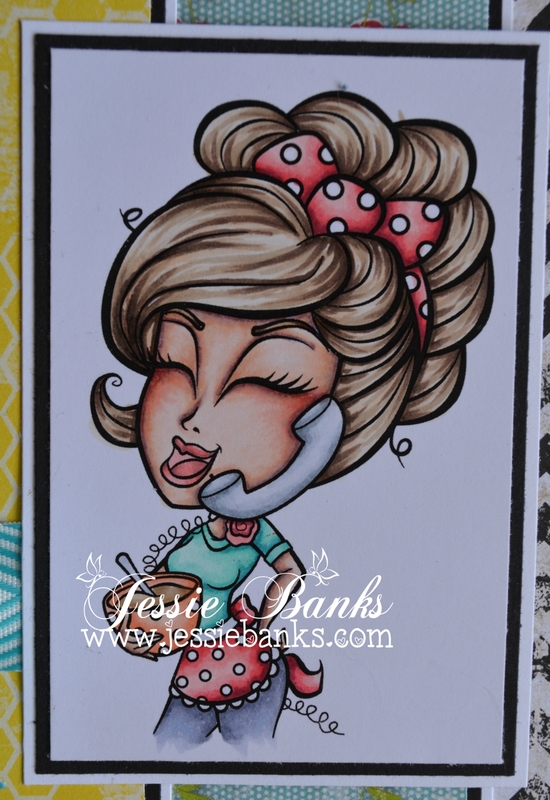 You can still purchase this telephone girl in the Facebook group, but if you want her I would get her before she is gone! I coloured her up with my Copic makers. 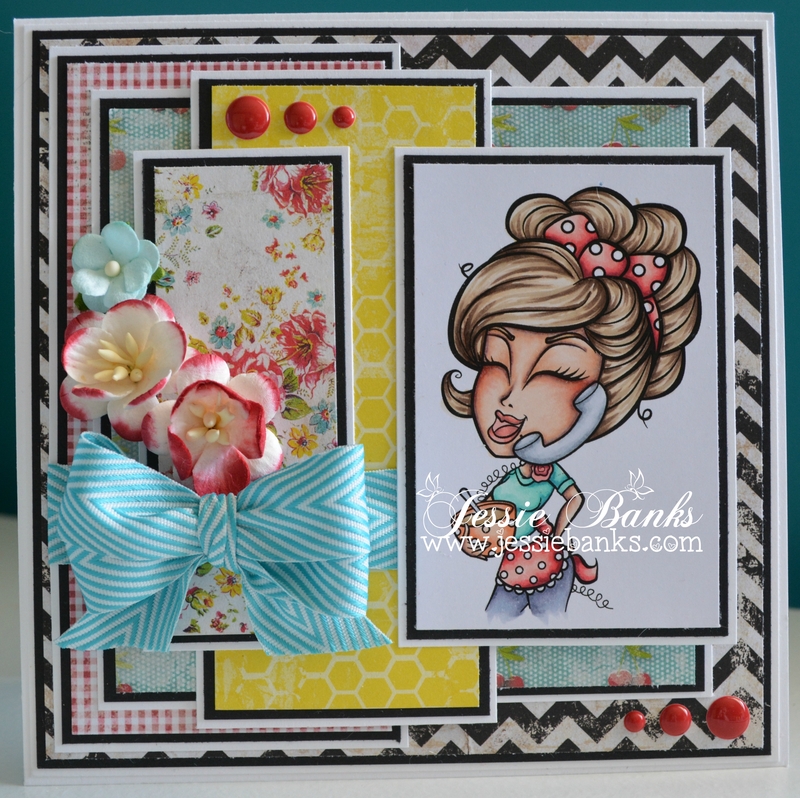 Layered patterned paper, ribbon, flowers, and enamel dots finish off the front of this card.